5 of 8 2/04/2019 BENDIGO: Margin 3.2 Distance 1000m SOT G RST 2 MDN Race Evergreen Turf Mdn Plate Prize $35,000 Race Time 0:58.25 Time Adj +1.88 Jockey Damien Thornton Weight 56.0 CD 56.0 BP 6 Odds 9-1 - 11-1 Trainer Mathew Ellerton & Simon Zahra OHR: 0 Ongoing Winners [o] 00-00-03 Rail True Entire Circuit. (Pent: 5.34). Track Direction Anti-Clockwise Stewards Began awkwardly and lost ground. Winner Heka Express (56) Second Yulong Ready (58) Third Salina (56) Inrunning Position seventh on settling, seventh at 800m, eighth on turn Video Comment Began awkwardly, lost ground, settled 2WWC 4.25L last, 2WWC 4L last at the turn, held ground in a steady run to the line. 17d 6/11/2018 FLEMINGTON: Margin 2.4 Distance 1000m SOT S RST 2 F OPEN G3 Group G3 Race Bumble Stakes Prize $151,500 API 0.72 Race Time 0:59.61 Time Adj +1.81 Sec Time 0:34.65 Sec Time Adj +0.92 Jockey Clayton Douglas Weight 56.0 CD 56.0 BP 2 Odds 20-1 25-1 - 20-1 Trainer Grahame Begg OHR: 61 Ongoing Winners [o] 00-01-01 Rail Out 2m Entire Circuit. Track Direction Anti-Clockwise Winner Bella Rosa (56) Second Lankan Star (56) Third Champagne Boom (56) Inrunning Position tenth on settling, tenth at 800m, sixth on turn Tempo Suited front runners Video Comment Jumped on terms, not bustled, settled 8th of 11 2L, 4th 3/4L at the 400m, worked home well without threatening. 4 of 5 20/10/2018 BENDIGO: Margin 0.8 Distance 1000m SOT S RST 2 MDN Race Bet365 Mdn Plate Prize $23,000 API 1.45 Race Time 1:00.32 Time Adj +2.12 Sec Time 35.88 Sec Time Adj +1.44 Jockey Clayton Douglas Weight 56.0 CD 56.0 BP 4 Odds 11-2 - 13-4 Trainer Grahame Begg OHR: 61 Ongoing Winners [o] 00-01-03 Rail Out 9m Entire Circuit. (Pent: 5.5). Track Direction Anti-Clockwise Winner Espinola (58) Second Feign (56) Third Abshiroo (58) Inrunning Position third on settling, third at 800m, third on turn Tempo Suited front runners Video Comment Jumped on terms, settled 3rd of 5 2WWC 2L, moved up 3rd 4WNC 1.25L at the turn, scrubbed along and under pressure straightening up, ran on well to finish on the heels of the placegetters. 19d 24/03/2019 BALLARAT: Margin 6.1 Distance 1200m SOT G RST 2 MDN Race Bartlett Blinds Mdn Plate Prize $35,000 API 10.16 Race Time 1:12.04 Time Adj +2.65 Sec Time 0:35.28 Sec Time Adj +0.78 Jockey Dean Holland Weight 56.0 CD 56.0 BP 3 Odds 9-1 - 12-1 Trainer Matt Cumani OHR: 0 Ongoing Winners [o] 01-00-05 Rail Out 5m 600m - WP, True Remainder. (Pent: 5.41). Track Direction Anti-Clockwise Winner Super Seth (58) Second Baileys (58) Inrunning Position third on settling, third at 800m, first on turn Tempo Suited front runners Video Comment Jumped on terms, ridden along, settled on-pace 3WNC 3/4L, led by 2W 1/4L at the turn, led momentarily near the 250m, just plugged away on being headed, relegated to 3rd late. 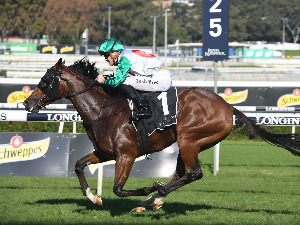 20d 5/03/2019 SEYMOUR: Margin 1.5 Distance 1100m SOT S RST 2 F MDN Race Lloyd Sound Mdn Plate Prize $35,000 Race Time 1:04.35 Time Adj +0.15 Sec Time 35.32 Sec Time Adj +0.71 Jockey Dean Holland Weight 57.0 CD 57.0 BP 5 Odds 12-1 15-1 - 11-1 Trainer Matt Cumani OHR: 0 Ongoing Winners [o] 00-02-05 Rail Out 4m Entire Circuit. (Pent: 5.35). Track Direction Anti-Clockwise Winner Invincible Lotus (57) Third Walk Free (57) Inrunning Position second on settling, second at 800m, second on turn Tempo No bias Video Comment Jumped on terms, pressed forward from outside, settled 2nd of 9 3WNC 1/2L, 2nd 3WNC 3/4L at the turn, couldn't find the big kick to get in front but chased hard. 17d 13/02/2019 SANDOWN-HILLSIDE: Margin 3.2 Distance 1300m SOT G RST 2 F NMW Race Clanbrooke Racing (RS0MW) Prize $50,000 Race Time 1:18.99 Time Adj +2.81 Sec Time 0:35.25 Sec Time Adj +1.76 Jockey Ben Melham Weight 57.0 CD 57.0 BP 8 Odds 20-1 25-1 - 20-1 Trainer Matt Cumani OHR: 60 Ongoing Winners [o] 02-02-05 Rail Out 6m Entire Circuit. Track Direction Anti-Clockwise Winner Really Discreet (57) Second Hafaawa (57) Third La Tene (57) Inrunning Position first on settling, first on turn Tempo Suited front runners Video Comment Jumped on terms, worked over to rails and led by 2W 1/2L on settling, led by 1L at the turn, stayed inside, headed soon after straightening, just battled under riding from then on. 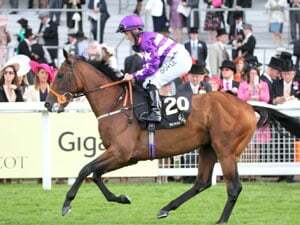 17d 27/01/2019 GEELONG: Margin 4.2 Distance 1100m SOT G RST 2 MDN Race Maree Thomas Mem. Mdn Plate Prize $35,000 API 0.28 Race Time 1:05.95 Time Adj +2.93 Jockey Linda Meech Weight 56.0 CD 56.0 BP 3 Odds 12-1 - 20-1 Trainer Matt Cumani OHR: 60 Ongoing Winners [o] 03-03-10 Rail Out 3m 800m - 300m. True Remainder. (Pent: 5.21). Track Direction Anti-Clockwise Stewards Held up rounding the home turn until passing the 200m before shifting out and bumping with Vinco. Winner Talented (56) Second La Tene (56) Third Sensitivity (56) Inrunning Position fourth on settling, fourth at 800m, fifth on turn Video Comment Jumped on terms, moved up, settled midfield 2WWC 2L, 2WWC on-pace 1.75L at the turn, held up until passing the 200m, shifted out and bumped with another, only battled from there. 47d 10/01/2019 GEELONG: Margin 1.5 Distance 1140m SOT G RST 2 MDN Race Bet365 Mdn Plate Prize $35,000 Race Time 1:07.21 Time Adj +2.27 Sec Time 34.64 Sec Time Adj +0.92 Jockey Linda Meech Weight 56.0 CD 56.0 BP 1 Odds 4-1 15-4 - 5-1 Trainer Matt Cumani OHR: 0 Ongoing Winners [o] 01-01-07 Rail Out 9m Entire Circuit. (Pent: 5.45). Track Direction Anti-Clockwise Stewards Vetted - no abnormalities. Winner Maozi (56) Second Frankie Pinot (58) Third Bishop Rock (58) Inrunning Position third on settling, third at 800m, third on turn Tempo Suited front runners Video Comment Fast into stride, settled on-pace 1.5L on inside, inside on-pace 1.5L at the turn, ran on, led the chase briefly passing the 150m, effort leveled off inside the final 100m. Vet - no abnormalities. 2 of 5 20/10/2018 BENDIGO: Margin 0.1 Distance 1000m SOT S RST 2 MDN Race Bet365 Mdn Plate Prize $23,000 API 1.45 Race Time 1:00.32 Time Adj +2.12 Sec Time 35.88 Sec Time Adj +1.44 Jockey H Coffey Weight 56.0 CD 56.0 BP 5 Odds 11-2 - 5-1 Trainer Robbie Griffiths OHR: 0 Ongoing Winners [o] 00-01-03 Rail Out 9m Entire Circuit. (Pent: 5.5). Track Direction Anti-Clockwise Winner Espinola (58) Third Abshiroo (58) Inrunning Position fifth on settling, fifth at 800m, fifth on turn Tempo Suited front runners Video Comment Jumped on terms, drifted back, settled inside 4.5L last, moved up 4WWC 3L last at the turn, under gradual acceleration loomed 150m and closed to a nose but missed the bob. 28d 15/12/2018 FLEMINGTON: Margin 5.7 Distance 1100m SOT S RST 2 OPEN Race Secondbite Plate Prize $100,000 API 32.5 Race Time 1:04.78 Time Adj +1.28 Sec Time 0:33.86 Sec Time Adj -0.04 Jockey Ms Nikita Beriman Weight 55.0 CD 55.0 BP 1 Odds 11-1 - 15-2 Trainer D & C Feek OHR: 64 Ongoing Winners [o] 02-01-05 Rail Out 10m Entire Circuit. Track Direction Anti-Clockwise Winner Yes Yes Yes (57) Second Absolute Flirt (55) Third Favourite Things (55) Inrunning Position sixth on settling, fifth at 800m, sixth on turn Tempo Suited front runners Video Comment Jumped on terms, took cover behind speed, settled 6th of 8 3L, 6th 2.25L at the 400m, stayed back inside but weakened last 200m. 11d 17/11/2018 SANDOWN-HILLSIDE: Margin 2.1 Distance 1000m SOT G RST 2 OPEN LR Group LR Race Merson Cooper Stks Prize $120,500 Race Time 0:58.21 Time Adj +2.23 Sec Time 0:34.11 Sec Time Adj +0.91 Jockey Ben Thompson Weight 55.0 CD 55.0 BP 5 Odds 20-1 - 25-1 Trainer D & C Feek OHR: 64 Ongoing Winners [o] 00-01-05 Rail True Entire Circuit. Track Direction Anti-Clockwise Stewards Slow to begin. Laid out under pressure in the straight. Disappointed for a run to the inside of Oyashio passing the 400m, before than shifting out across that colts heels. Winner Steal My Kisses (55) Second Memphis Rock (57) Inrunning Position eighth on settling, eighth at 800m, eighth on turn Tempo Suited front runners Video Comment Slow to begin, settled midfield 3WWC 4L, 3WWC midfield 3L at the turn, held up 400m hooked out deep in the straight and finished it off nicely, running the best closing split of the day, nice run. Laid out under pressure in the straight. 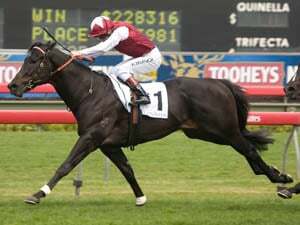 7 of 11 6/11/2018 FLEMINGTON: Margin 3.3 Distance 1000m SOT S RST 2 F OPEN G3 Group G3 Race Bumble Stakes Prize $151,500 API 0.72 Race Time 0:59.61 Time Adj +1.81 Sec Time 0:34.65 Sec Time Adj +0.92 Jockey Ben Thompson Weight 56.0 CD 56.0 BP 6 Odds 20-1 30-1 - 25-1 Trainer D & C Feek OHR: 61 Ongoing Winners [o] 00-01-01 Rail Out 2m Entire Circuit. Track Direction Anti-Clockwise Stewards Began awkwardly. Winner Bella Rosa (56) Second Lankan Star (56) Third Champagne Boom (56) Inrunning Position sixth on settling, sixth at 800m, eighth on turn Tempo Suited front runners Video Comment Began awkwardly, settled 6th of 11 1.75L, 9th 1.5L at the 400m, boxed on well, never in the reckoning. 6 of 8 8/11/2018 FLEMINGTON: Margin 3.2 Distance 1000m SOT S RST 2 OPEN G3 Group G3 Race Maribyrnong Plate Prize $151,500 API 0.32 Race Time 0:58.63 Time Adj +0.83 Sec Time 0:34.29 Sec Time Adj -0.01 Jockey J Allen Weight 55.0 CD 55.0 BP 1 Odds 15-2 - 16-1 Trainer Darren Weir OHR: 0 Ongoing Winners [o] 00-01-02 Rail Out 5m Entire Circuit. Track Direction Anti-Clockwise Stewards Bumped at the start by Memphis Rock. Steadied in across the heels of Wedgetail passing the 400m and then raced greenly. Winner Vinicunca (55) Second Art Collection (55) Third Chicago Bull (57) Inrunning Position eighth on settling, eighth at 800m, seventh on turn Tempo Suited front runners Video Comment Bumped at the start, settled 5L last, 7th 4L at the 400m, exposed without cover most of way, hooked in to challenge, hung in under pressure, threw it away with poor manners, wasn't far away though. 7 of 7 29/03/2019 WARRNAMBOOL: Margin 6.8 Distance 1100m SOT G RST 2 MDN Race Squillani Park Mdn Plate Prize $23,000 API 0.52 Race Time 1:05.69 Time Adj +2.33 Sec Time 35.5 Sec Time Adj +1.74 Jockey Jack Hill Weight 56.0 CD 56.0 BP 2 Odds 15-2 - 9-1 Trainer John Mcardle OHR: 0 Ongoing Winners [o] 00-00-03 Rail Out 4m Entire Circuit. (Pent: 5.25). Track Direction Anti-Clockwise Gear Change Winkers FIRST TIME Winner Substantial (56) Second Navarre (58) Third Why Big Bry (58) Inrunning Position second on settling, second at 800m, third on turn Tempo Suited front runners Video Comment Jumped on terms, settled 2nd of 7 2WNC 1.5L, 4th 3WNC 2L at the turn, under pressure straightening up, faded out of the running. 6 of 7 29/03/2019 WARRNAMBOOL: Margin 5.8 Distance 1100m SOT G RST 2 MDN Race Squillani Park Mdn Plate Prize $23,000 API 0.52 Race Time 1:05.69 Time Adj +2.33 Sec Time 35.5 Sec Time Adj +1.74 Jockey Boris Thornton Weight 56.0 CD 56.0 BP 1 Odds 5-2 - 15-4 Trainer Glenn Thornton OHR: 0 Ongoing Winners [o] 00-00-03 Rail Out 4m Entire Circuit. (Pent: 5.25). Track Direction Anti-Clockwise Gear Change Tongue Tie FIRST TIME Stewards Raced below expectations. Vetted - no abnormalities. Winner Substantial (56) Second Navarre (58) Third Why Big Bry (58) Inrunning Position third on settling, third at 800m, second on turn Tempo Suited front runners Video Comment Jumped on terms, ridden to settle 3rd of 7 on the inside 2L, moved up 2nd 2WWC 1L at the turn, driven turning in, couldn't go on with it, faded out of contention. Vetted - no abnormalities. 8 of 8 7/12/2018 MOONEE VALLEY: Margin 11.3 Distance 1000m SOT G RST 2 F OPEN Race Opus Group Plate Prize $40,000 API 1.53 Race Time 0:58.25 Time Adj +0.63 Sec Time 0:33.81 Sec Time Adj -0.15 Jockey Jamie Mott Weight 57.0 CD 57.0 BP 6 Odds 30-1 - 30-1 Trainer John Mcardle OHR: 0 Ongoing Winners [o] 00-01-03 Rail True Entire Circuit. (Pent: 4.62). Track Direction Anti-Clockwise Stewards Bumped with Lady Naturaliste at the start. Winner Lady Lupino (57) Second Lady Naturaliste (57) Third I Am Eloquent (57) Inrunning Position fifth on settling, fifth at 800m, sixth on turn Tempo Suited front runners Video Comment Jumped on terms, bumped with another, settled 5th of 8 2WWC 3.5L, 7th 3WWC 5L at the turn, laboured to the finish. Lost a plate.